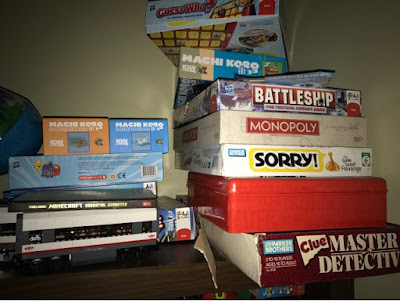 Back in January my 9 year old son decided that Mondays were going to be family game nights. No TV, no phones, no hand-held devices, no video games, no screens. Since then, every Monday, just after dinner and showers for the boys, we disconnect and pull out the games. 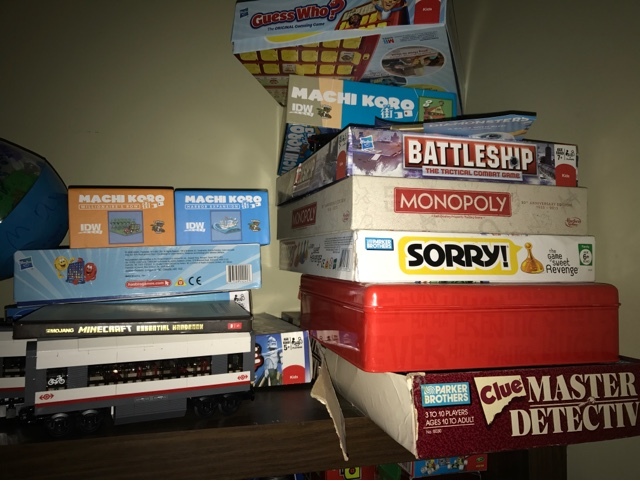 We have played family favorites like Machi Koro (a game of strategy), dominoes (we love the game Mexican train), Monopoly (yes, we actually enjoy that one), and several others. Last Monday we played a few hands of Uno and followed up with a favorite from when I was little, Yahtzee! Then on Tuesday, during my morning commute, I listened to Episode 193 of The 5AM Miracle with Jeff Sanders. 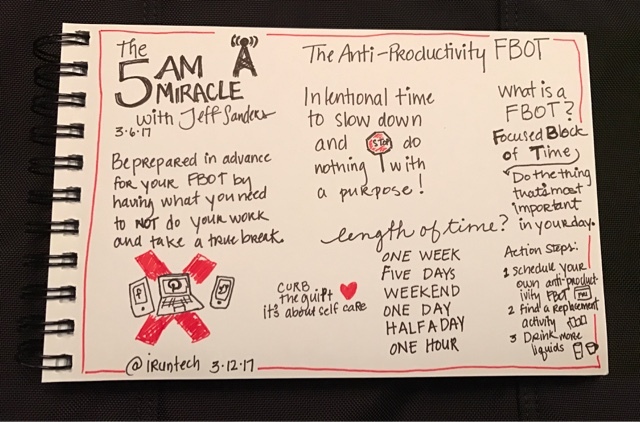 In the episode Jeff and his guest, Tessa Sanders, shared how they create for themselves "anti-productivity focused blocks of time" (FBOTs). Jeff has often spoken about the power of FBOTs for getting things done. What struck me most about the episode was the intentionality of doing NOTHING during the FBOT. Taking time to unwind and disconnect, with the focus being on self care. Activities suggested for this special FBOT included reading, writing, watching a movie, spending some time alone, or with friends and family. Tessa, Jeff's wife, likes to dedicate an entire week to her anti-productivity FBOT, but Jeff wisely suggested starting where you are comfortable; with a week, a day, or an hour. It made me smile to think that as a family, we had already started our own mini anti-productivity FBOTs and I had my 9 year old to thank for making it a new family tradition. Now it's time for me to start extending my FBOTs to longer periods of time and revisiting some of my forgotten and neglected interests. How do you make time for self-care? What activities would be part of your FBOT? "Finding time can be difficult, but if its important enough, you make the time." That's what I was told growing up; but I don't think I've learned that life lesson, yet. I still have difficulty making time for FBOT. One of the top activities, for me, is carving. I can, just like I hear from readers, get lost in the process and next thing I know a huge amount of time has passed. Our passions are easy to find time for. Reading is the perfect analogy. Now, I dare you to listen to a book while you carve.